Mission: Provide superior, persistent armed intelligence, surveillance and reconnaissance, and incident awareness, and assessment capabilities to support, and defend national, regional and state interests. Vision: Charting the course today for tomorrow’s intelligence, surveillance and reconnaissance, and incident awareness and assessment. 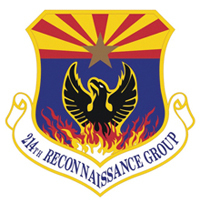 Description: The 214th RG, also known as “The Black Sheep,” is composed of two squadrons: the 214th Reconnaissance Squadron and the 214th Operations Support Squadron. The unit employs 188 full- and part-time military personnel and 20 civilian personnel. The unit currently operates one 24/7/365 RPA orbit, with the capability to surge additional orbits when tasked. Mission: To maintain aircraft to facilitate the training, education and mentoring of the world’s finest attack pilots for the Combat Air Forces. To further develop the leaders, wingmen, and warriors at all ranks to meet the challenges of leading our service today, and into our future while continuing to support Total Force Integration. Vision: Provide maintenance support to A-10 formal training units and host maintenance squadrons to produce A-10C student training sorties. Description: Provides superior maintenance to the unit-equipped 28 A-10C aircraft supporting the 47th FS’s formal training unit that conducts training for pilot initial qualification, transition and instructor qualification in the A-10C as well as three test aircraft for the Air National Guard / Air Force Reserve Command Test and Training Center and Air Force Materiel Command’s 40th Flight Test Squadron Operating Location Alpha. The unit is both actively and classically associated with the 355th FW. The unit is authorized full- and part-time maintenance positions and also has 40 active-duty maintainers on the team. The average maintenance experience for personnel assigned to the unit is 10 years. Full-time or air reserve technician maintainers have integrated into the squadrons of the 355th MXG and are currently working in more than 20 Air Force specialty codes. 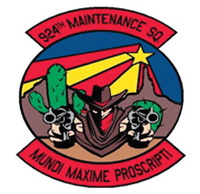 The 924th MXS provides highly qualified and trained maintenance personnel sharing resources (aircraft/tools/vehicles, etc.) 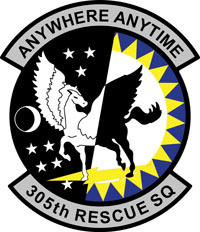 with its host, the 355th FW. Mission: To train, educate, and mentor the world’s finest attack pilots for the Combat Air Forces while honing the core competencies of A/OA-10 instruction, operations management and aircrew life support. To develop leaders, wingmen and warriors in all ranks to meet the challenges of leading our service today and into the future. Description: The squadron is a unit-equipped 24 primary aerospace vehicle authorized A-10C aircraft squadron that conducts training for pilot initial qualification, transition and instructor qualification in the A-10C at Davis-Monthan AFB. 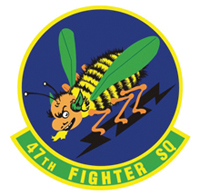 The 47th both actively and classically associates with the 355th FW. 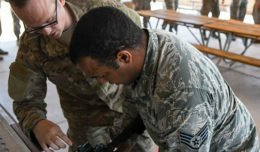 The 47th FS currently has 55 Airmen comprised of full-time Air Reserve technicians, part-time traditional reservists, regular Air Force members and civilians. History: Activated Dec. 1, 1940, as the 47th Pursuit Squadron, assigned to the 15th Pursuit Group at Wheeler Field, Hawaii. On Oct. 1, 2013, the 917th FG and the 47th deactivated. On March 1, 2014, the 47th stood up again as an Air Force Reserve A-10 formal training unit under the 924th FG at D-M AFB, as part of the 944th FW. Mission: To instruct and train pararescuemen and Combat Rescue Officers providing advanced skill upgrades and proficiency training in order to meet combat capability requirements and enhance integration with joint combat forces in support of joint force commander and combatant commander taskings. Composition: The organizational structure mirrors traditional Guardian Angel squadrons and consists of combat rescue officers, pararescuemen and combat support personnel. History: The initial commissioning was June 4, 2014, at Davis-Monthan as the 68th Rescue Flight. 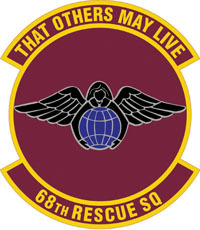 The 68th Rescue Squadron was recommissioned June 1, 2017, at D-M. Since its inception, the 68th RQS has trained many PJs and CROs and bestowed hundreds of upgrades across several MAJCOMs in support of operations, humanitarian relief operations, and direct medical and rescue support to the President of the United States. Mission: Enable combat-ready forces for rapid global employment; and receive, command and control, and employ joint air component assets to meet U.S. strategic objectives in the USSOUTHCOM area of responsibility, across the full spectrum of operations. Description: Responsible for the combat readiness of seven active-duty wings and one direct reporting unit. These subordinate commands operate more than 360 aircraft with more than 20,300 uniformed and civilian Airmen. 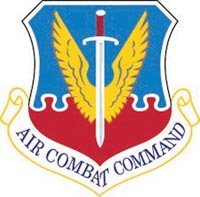 The command is also responsible for the operational readiness of 17 12th Air Force-gained wings and other units of the Air Force Reserve and Air National Guard. 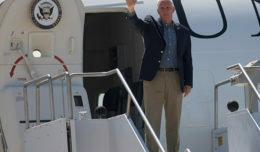 As the air and space component to U.S. Southern Command, Air Forces Southern conduct security cooperation and provide air, space and cyberspace capabilities throughout Latin America and the Caribbean. Mission: Trained and equipped to conduct combat search and rescue missions worldwide utilizing the HH-60G “Pavehawk” helicopter. Our primary mission is to penetrate enemy territory, recover downed aircrew and return them to friendly forces. Additionally, we fly life-and-death search and rescue missions to help locate and recover injured people within the land and coastal boundaries of the United States. Vision: To be prepared to conduct CSAR missions anywhere in the world at any time. Members: This is a Reserve unit that has 46 authorized positions, of which there are 12 full-time personnel and 34 part-time traditional reservists. Mission: Det. 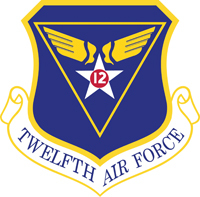 3 is one of 13 operations training development detachments located throughout Air Combat Command and was established Oct. 1, 1991, as a major command special activity when control for operations training development reverted from tactical training wings to Headquarters, Tactical Air Command. Description: Approximately 21 people are assigned to Det. 3. 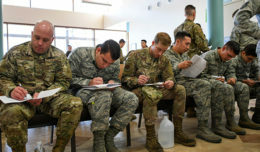 Represented specialties include A-10 instructor pilots and EC-130H Compass Call subject matter advisors for mission and flight crew positions, education, training, instructional systems development specialist, editorial experts, and computer resource management specialists. The mission of Det. 3 is to develop, manage and maintain all formal training syllabi and supporting courseware for the A-10 and EC-130H Compass Call weapon systems assigned to D-M. The unit establishes and validates training requirements, assists in the acquisition of training equipment, and oversees the development of academic course material in response to the weapon systems needs. Det. 3 provides contracted aircrew training and courseware development contract expertise and performs quality assurance functions on contracts valued at more than $20 million.